Yesterday and the day before we looked at two central messages of Jesus. The first, from Luke 4, spoke of God’s special love and concern for those who are poor and vulnerable, God’s desire for those who are rich and powerful to align with God’s mission and God’s rejection of vengeance. The second, from Matthew 22 and Mark 12, spoke of the deep Will of God, that we should love – love God and love each other. “Then the eleven disciples went to Galilee, to the mountain where Jesus had told them to go. When they saw him, they worshiped him; but some doubted. Then Jesus came to them and said, ‘All authority in heaven and on earth has been given to me. Therefore go and make disciples of all nations, baptizing them in the name of the Father and of the Son and of the Holy Spirit, and teaching them to obey everything I have commanded you. And surely I am with you always, to the very end of the age’” (Matthew 28:16-20). This wonderful passage is called the ‘Great Commission’ and has served for many generations as the primary text mobilising evangelical missionary work. Jesus opens and closes this brief passage with grand statements about Himself. The opening words speak to tremendous cosmic power and authority that God the Father has delegated to Him. And the closing words speak to his omnipresence and eternity – His ability to be everywhere forever. Together, these remind us of the Kenotic U that we reflected on earlier this week, and specifically the top right corner of the U, which we talked about as Christ’s glorification. Having been raised from the dead and blessed by God, Jesus is now once again the King of kings and Lord of lords. In this passage, Jesus speaks not as just the man of God that he had been during his brief time on earth, but as the Son of God. He is, indeed, a King. And he is King of the Kingdom of God or, to use Matthew’s terminology, the Kingdom of Heaven. The Greek word for ‘kingdom’, basileia, is used 51 times in Matthew, compared with just 18 times in Mark. Some scholars prefer to translate basileia as ‘reign’, to emphasise not so much a territory (which ‘kingdom’ may evoke for many of us), but rather the King who reigns. For Jesus, the Kingdom of Heaven was both in the future (something towards which we yearn and strive) and the present (something that is ‘near’ because Jesus is present). Wherever we find Jesus, we find the Kingdom. And because Jesus is present in Christians by the Spirit, wherever we are God’s Kingdom is present. And so we pray, “Your kingdom come, your will be done on earth as it is in heaven” (Matthew 6:10). The Great Commission then, although not mentioning the term basileia, is nevertheless set against an extensive backdrop of the Kingdom of Heaven, which Matthew has developed over the previous 28 chapters and which Jesus’ words about authority and eternal presence reinforce. Jesus is commissioning the disciples, as He commissions us, to work in and for the Kingdom of God. This is a present work in the present Kingdom that centres on the person of Jesus Christ, but it is also work for the future, for that great and glorious Day of the Lord, when God will restore the heavens and the earth and all who dwell therein. What is this work that Jesus commissions the disciples to do? It is to gather all people together in God’s Kingdom. Jesus commissions the disciples to populate God’s Kingdom with people of God. A disciple is one who follows Jesus. A disciple submits to Jesus. A disciple adopts Jesus’ values, priorities and methods. A disciple seeks to further Jesus’ mission. A disciple ultimately seeks to become like Jesus. Jesus’ twelve disciples did not, of course, embody such idealised aspirations. However, this was their aspiration and it was towards this that Jesus mentored and guided them. So, to make disciples means to assist and support others in their journey of becoming a follower of Christ. And Jesus provides two methods to assist in achieving this: baptising them and teaching them. For today’s reflection, I wish to focus only on teaching. It is, however, important to note that the baptism incorporates a reference to the Trinity – “baptizing them in the name of the Father and of the Son and of the Holy Spirit” – showing that the disciple-making work involves all the persons of the Trinity. It is important work! The teaching that Jesus speaks of is “teaching them to obey all I have commanded you.” Sometimes we think of teaching as the imparting of intellectual knowledge – teaching leads to knowing. But in Matthew’s Gospel, teaching is far more. “Jesus teaching is an appeal to his listeners’ will, not primarily to their intellect; it is a call for a concrete decision to follow him and to submit to God’s will.” The Will of God is something we reflected on yesterday, in relation to the Great Commandment. There we said that the Will of God, which is expressed in the Law, is for us to love – to love God and to love each other. Jesus said that all the Law and Prophets hang on this command (Matthew 22:40). The Will of God appears many times in Matthew. We recall it in the Lord’s Prayer: “Your will be done on earth as it is in heaven” (Matthew 6:10). Jesus says of the Day of Judgement, “Not everyone who says to me, ‘Lord, Lord,’ will enter the kingdom of heaven, but only he who does the will of my Father who is in heaven” (Matthew 7:21). Matthew 18:14 expresses what is not God’s Will: “So it is not the will of your Father in heaven that one of these little ones should be lost” (NSRV). In Matthew 21:28-32, two sons are contrasted. Once the father has expressed his will that they should go and work in the vineyard, the one says, “I will not” and the other, “I will, Sir”. Being a disciple means adopting the Will of God and putting it into practice. The Will of God is for us to love God and to love others, including the unlovely. Jesus is thus commissioning the disciples and us to cultivate a Kingdom in which everyone loves God and each other, not only in the privacy of their hearts, but also in their actions and interactions. Yesterday, we saw the correspondence between God’s love for us and our love for God and each other. Today, we see that Jesus wants us to spread this message to everyone. This ‘everyone’ is expressed in the Great Commission as to “all nations”. Jesus really does mean all nations. This is good news for everyone. It is not just good news for the Jews, as it was in the Old Testament and, to some degree, even in Jesus’ ministry. It is also not good news just for Gentiles, as if the Jews have been cut off and forgotten. Rather, it is good news for every person and every community of people. We recall God’s passion for all peoples in the commissioning of Abraham in our reflections on Day 6. The Great Commission is not a new commission. It is merely a re-commissioning. God had previously commissioned Abraham to bring God’s light to all peoples. Then this commission was passed on to all Israel. And now to all followers of Christ. God’s love has always been and will always be universal. God desires the salvation of the entire human population. And so Peter writes, “[The Lord] is patient with you, not wanting anyone to perish, but everyone to come to repentance” (2 Peter 3:9b). Today and over the previous two days we have reflected on three central messages of Jesus, perhaps even the three central passages that speak to Jesus’ mission. And we have seen a common thread through all of them. The Lukan Manifesto recounts God’s love for the poor and vulnerable, the Great Commandment concerns God’s intention that we should love God and love each other, and the Great Commission is a call to guide all people into a loving relationship with God. It is no coincidence that all three messages centre on God’s love and our consequent love for God and each other. The messages all centre on God’s love, because love is at the centre of God. More specifically, love is the centre of God’s Will. It is God’s good desire and intention to love us and for us to love God and for us to love each other. And so, whenever Jesus speaks about what is most important, it will be about love. As a lover of God, we are called to draw other people into the love of God. It is God’s will that all should know God’s love. How are you doing in participating with God in this mission? Your love for me is wonderful, O Lord my God. Help me to shine forth this love in the way I interact with people around me. Help me to draw them to you, making them followers of your Son. These examples were identified by Bosch, p. 67. “‘Love the Lord your God with all your heart and with all your soul and with all your mind.’ This is the first and greatest commandment. And the second is like it: ‘Love your neighbour as yourself.’ All the Law and the Prophets hang on these two commandments” (Matthew 22:37-40). “The most important one,” answered Jesus, “is this: ‘Hear, O Israel, the Lord our God, the Lord is one. Love the Lord your God with all your heart and with all your soul and with all your mind and with all your strength.’ The second is this: ‘Love your neighbour as yourself.’ There is no commandment greater than these” (Mark 12:29-31). The key difference in Mark is the inclusion of the Shema, “Hear, O Israel, the Lord our God, the Lord is one,” which precedes the command to love God in the source for this first commandment in Deuteronomy 6:4-5. The Shema was recited twice daily by Jewish people, as a statement of faith or creed. Devout Jews also have the Shema written on the doorposts of their home and on phylacteries tied to their foreheads, in keeping with the instruction of Moses in Deuteronomy 6:6-9. In so doing, Mark’s version emphasises that the commands to love are in response to who God is and what God does. Mark also differs by the inclusion of “and with all your strength”, though this is in fact part of the source in Deuteronomy. On the other hand, “and with all your mind” is not in Deuteronomy, but included in both Matthew and Mark. Scholars may debate the reasons for these differences, but what strikes us from the first commandment to love God is the repeated use of all. The love for God that is described here is holistic and all-encompassing. Jesus is describing a kind of love that draws on every facet of our being. He is saying that our entire self is to be turned towards God in love. This is not merely emotional love, such as one might see on the soap operas. Nor is it an intellectual love one might read in the philosophers. Nor is it the physical love one might experience in the bedroom. Rather, this is a love that draws on the whole person. The second part of the commandment, which Jesus says is “like” the first, is to love our neighbour as ourselves, and is drawn from Leviticus 19:18. This involves a similarly whole-hearted, whole-person love for one’s neighbour. We recall the parable of the Good Samaritan from Luke 10:25-37, which clarifies who “our neighbour” is – everyone is our neighbour. The kind of love that Jesus calls us to, in relation to other people, has no boundaries – it is a universal love for all of humanity, both collectively (meaning, a general love for all people) and individually (meaning, we are called to love each individual personally and specifically). On Day 16 we said that love is “an active desire for the well-being of the neighbour, and for communion with him or her, based on a recognition of the neighbour’s unique worth”. Jesus closely connects these two familiar commandments: “This is the first and greatest commandment. And the second is like it” (Matthew 22:38-39a). Although there are two answers, he was asked for the greatest commandment, not two commandments. Clearly, Jesus sees these as so closely intertwined that they are as one. A little bit of Hebrew grammar will give us insight into an important theological and practical aspect of the Great Commandment. Both the Old Testament sources of the Great Commandment (Deuteronomy and Leviticus) use the jussive form of ‘love’ in the Hebrew. The jussive is a way of expressing one’s volition or desire or intention, but is not as strong as an imperative, which is much more like a direct command to do something. The jussive is thus a subtler and gentler way of expressing choice. In translating jussive Hebrew verbs into English, it is often helpful to put the words ‘let’ or ‘may’ before the verb, such as ‘let him love’ or ‘may he love’. In the two calls to love, the Hebrew uses the jussive form, thus they are not translated as imperatives or commands, “You must love the Lord” and “You must love your neighbour”. This is important because such a command can easily degenerate into an external performing of the appearance of love, without a true volition, choice or intention to love. While one can easily command someone to perform an activity (such as, “Don’t hit your little sister”), it is usually counterproductive to command someone to feel or desire something (such as, “Enjoy playing with your little sister”). In such cases, it is far better to use a gentler form, which the jussive allows (“May you develop an enjoyment for playing with your little sister”). Thus these are not commands to “Love”. Rather they are encouragements that could be better translated, “You are to love…” or “May you love…” The call to love is more to cultivate love in one’s heart than to merely perform loving actions. The only places in the Old Testament where the jussive form of the verb ‘love’ is used are in Deuteronomy 6:5 and 11:1 (both of which say, “Love the Lord your God”) and Leviticus 19:18 and 19:34 (which say, “Love your neighbour as yourself” and “Love him as yourself”). Together, they express God’s singular Will, God’s central volition, which is, “You are to love”. There is just one Divine Will – God desires that we love. This singular Will to love is expressed into two spheres of life – in our relationship with God and in our relationship with other people. But it is just one Will. Thus, these two commandments are, in fact, one command, the command to love. The first expression of love is towards God – we love God because God first loved us (1 John 4:19). Our love for God is always reactive, in that we are responding to what God has initiated. We are never the initiators with God, because God already loved us before we were conceived. We are always responding to God. But our love for our neighbour, which is the second expression of love, is different. We do not love our neighbour because our neighbour first loved us. No! The parable of the Good Samaritan makes this abundantly clear – the injured man was in no position to love anyone, and so the Samaritan’s love for him is something that the Samaritan initiated. However, even this love for our neighbour springs forth as a response to God’s love for us. It is as we become more fully aware of and experience God’s love for us that our capacity to love others, particularly those who are unlovely or our enemies, develops. We love others because God first loved us. Thus, the wellspring of our love for both God and our neighbours is God’s love for us. God does not instruct us to love as one might instruct a soldier. Rather, God does two things to move us to love. First, God loves us first. God sets the example. God fills our hearts with love. 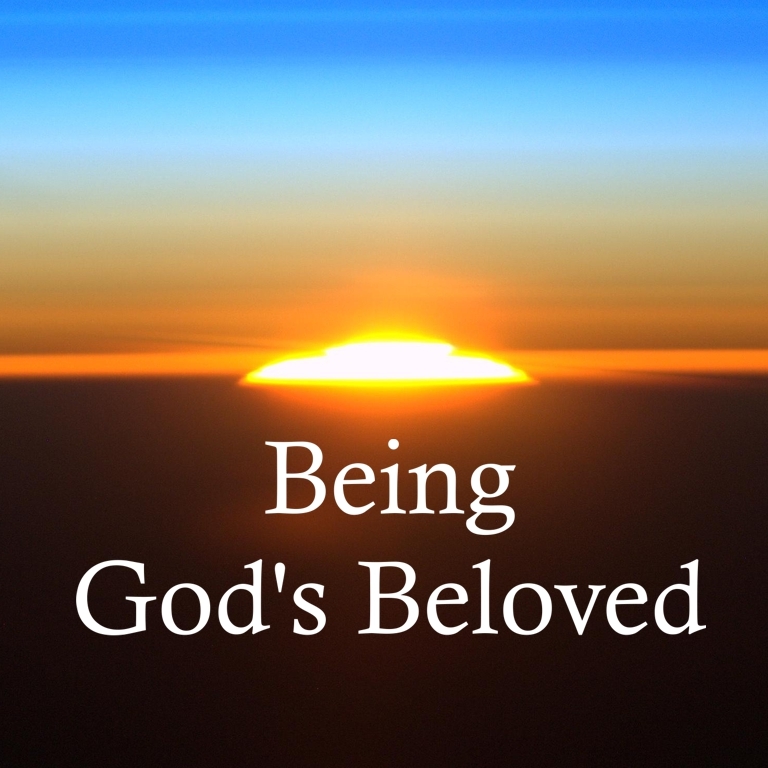 God persists in loving us even when we spurn God’s love. God loves fully and unconditionally and extravagantly. God’s entire mission to humanity is motivated by love. Everything that God does towards us is an expression of that love. And second, God moves us towards greater love by exercising Divine Will. God prompts us to love with the call to love, with the reminder that as much as we are loved by God we are called to love others. But God does not coerce us to love others. As our hearts are filled with the love of God, love will overflow from our beings and spill into our relationships with family, friends, colleagues, strangers and even enemies. God woos us to become loving. May it be that you love God with the whole of your being, and your neighbour as yourself. Reflect on everything that you have learned so far about God’s love for you. In light of that, how do you feel about expressing the fullness of this love in your relationship to God and to your neighbour? God of infinite love, thank you that you loved me long before I loved you. Continue to cultivate in me an ever deeper love for you and for other people, including those I find particularly hard to love. Lane, W. L. (1974). The Gospel of Mark. Grand Rapids, MI: William B. Eerdmans, p. 432. France, R. T. (2007). The Gospel of Matthew. Grand Rapids, MI: William B. Eerdmans, p. 845. Woodhead, in Marshall, p. 27. Ellis, R. R. (2006). Learning to read Biblical Hebrew: An introductory grammar. Waco, TX: Baylor University Press, pp. 174-175.